Sustainia worked with several partners to show how and why Danish municipalities and Denmark’s 1,000 largest companies were working to reduce energy consumption. Companies and municipalities report their energy consumption every year, but how can these numbers be used to paint a picture of the current state of sustainability and show how seriously businesses are taking the challenges of sustainability? Communicating these messages is an important but challenging task for public authorities and civil society. Sustainia mapped the energy activities of the biggest organisations in Denmark to show how and why energy reductions were being made. The 2014 report showed that the energy consumption for the municipalities and large companies was decreasing, and they were doing this primarily as a cost-cutting exercise and as a strategic policy. 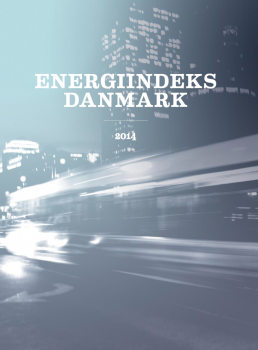 The report communicated the results of this study for two consecutive years to the Danish public, enabling greater engagement in the energy transition conversation and creating a better informed society. We worked with a consortium of organisations on this publication: Grundfos, Danish Standard, and Inno SE (formally SE Big Blue).